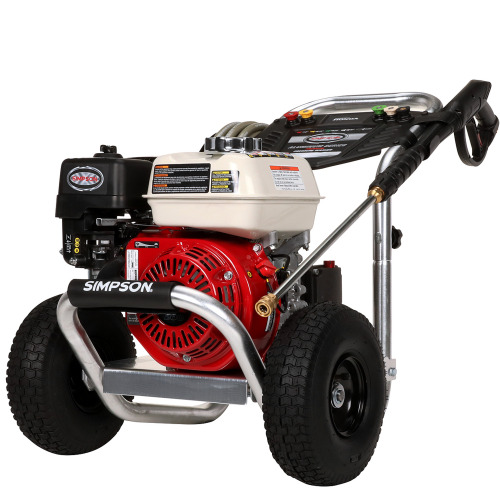 This gas pressure washer has a 2.5 GPM at 3400 PSI flow rate and is driven by the popular and powerful GX200 Honda engine. This engine produces abundant power and will cooperate with ease when combining it with our low maintenance pump of choice AAA Industrial triplex. The pump Simpson’s 10-year aluminum frame warranty adds to making this purchase a lasting investment. This unit is delivered to you complete and ready to use when combined with the attachment kit and 35 Feet MorFlex non-marking high pressure hose.